Over the years we have been asked to provide our services on a broad range of historical projects. 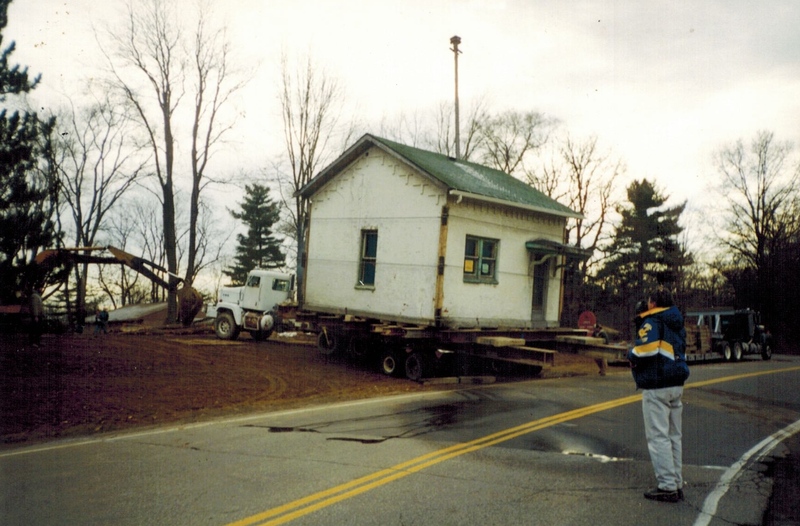 Log cabin, historic homes, barns and other outbuildings, schools and commercial buildings have all been moved or jacked up by Klier Structural Movers. As you might expect Historical societies have been regular customers, but individual homeowners, municipalities, and even businesses have needed our help as well. If you or your group are wishing to move or lift a historic building as part of a preservation project please contact us. One such project was the City of Kent original jail move, remodel, and repurposing. The jail had long ago ceased to be used as a for its original purpose but had most recently been a residence. The property had been purchased for the construction of a drug store so the structure was slated for demo. Kent was able to gain ownership of the jail and contracted with us to relocate it to a city complex part of their park system. The move was made especially tough by the fact that the walls were three layers of brick thick. I guess they did not want anyone to escape! The three layers of bricks made the weight significant even for it’s small 20′ x 20′ size. Once at its new home, we lifted the structure for a new basement foundation. After the base walls were completed and we had set the old jail down carpenters went to work and completely restored it into an event center. The basement is now a walk out with an elevated patio deck stairs and restrooms. It will serve for many years hosting graduation parties and birthdays. As you can see the sky is the limit on what can be done with an existing structure. If you are wondering about the feasibility of your project we would be glad to discuss it with you. If after a few phone calls and emails things seem promising we can be involved in an actual study producing a detailed accurate cost estimate. It may be that your desire is to keep the building just as it was allowing it to serve as a piece of history preserved for the enjoyment and education of future generations. However, it may also be that the purpose is completely changed yet the historic character of the old gem is still there to be marveled at. We look forward to hearing from you.